Virus, bacteria, parasites and fungus are not our enemies, but our main friends and allies. They help us balance our Body and Energy systems. Through Biomagnetic Pair Therapy 🔴 ⚫️ we balance the terrain. 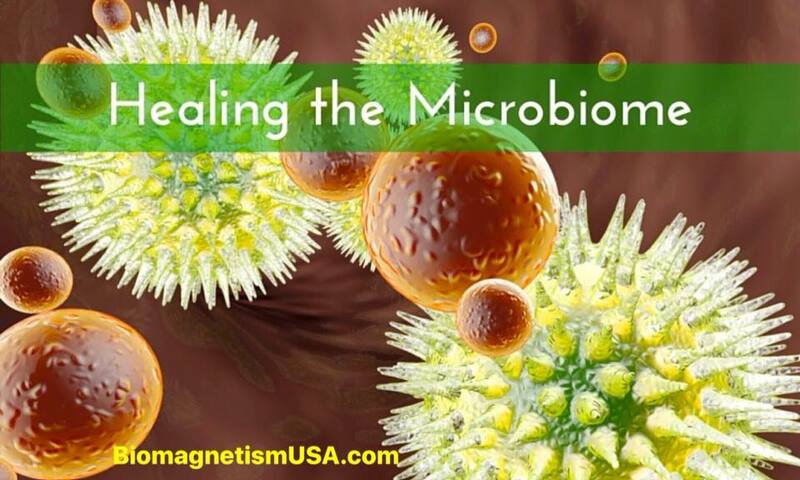 Microbes don’t die, they get neutralized and because of this, symptoms and disease disappear as the Body heals itself. Only by balancing the terrain we can successfully treat all type of diseases, chronic, degenerative, bacterial and viral among many others. This page was created by Helena Guerrero, owner and founder of Biomagnetism USA and organizer of the only Certified Biomagnetism trainings in the US. BiomagnetismUSA trainings are approved by Dr. Isaac Goiz Duran with official certification signed by him. Helena Guerrero has her Biomagnetism practice in the beautiful San Francisco, Napa, Sacramento Area in California. She is also available for long distance Biomagnetism treatments. Her contact info is under California. The purpose of this web page is so people interested in experiencing and / or receiving Biomagnetism Therapy who are not able to come and see her in Northern California could get in touch with a Certified Biomagnetism Practitioner in their area . All Biomagnetism Therapists in this listing have taken their Biomagnetism training with Dr Isaac Goiz Duran MD, who discovered the Biomagnetic Pair in 1988 or by Instructors approved by him. Biomagnetism USA™ is not responsible for the results each individual person may achieve, as results vary according to the amount of training, experience and the way each therapist may apply the technique developed by Dr Isaac Goiz Duran MD. If you are a Certified Biomagnetism Therapist and you will like to be included in this list, please send us an email for details on how to join us, thanks! Biomagnetism Level 1 & 2, MicrobioEnergetics 1, MicrobioEnergetics & Children, Advanced Biomagnetism Protocols, Doula, Kinesionics, Herbal Therapy. Biomagnetism Level 1 & 2, Biomagnetic Neuropsychology / NCODE Expert, Simply Nutrition and Biomagnetic Pair Cork. Biomagnetism Levels 1 & 2, Biomagnetic Neuropsychology/ NCODE Expert, Body Code.